I did it! I finished my challenge! Initially I had only challenged myself to 40 books but each time I hit that number I increased the number. So here we are at a total of 81 books out of 70. I am pretty sure I’m going to extra super duper challenge myself in 2019, and try and hit 100 books. The last couple of years I haven’t really been using Goodreads as much, nor updating all of the books I have read, so it was great fun making sure that I maintained my record for the whole year. Looking over those books, I feel like I had an enjoyable years reading 🙂 I don’t tend to add books that I did not finish so all the books are ones that I finished and looking at them I enjoyed so many of them! If you’re interested in any of the five star rated ones, check out my Favourite Books of 2018 which may go into detail about some of those books. Congrats on such a great bookish 2018. 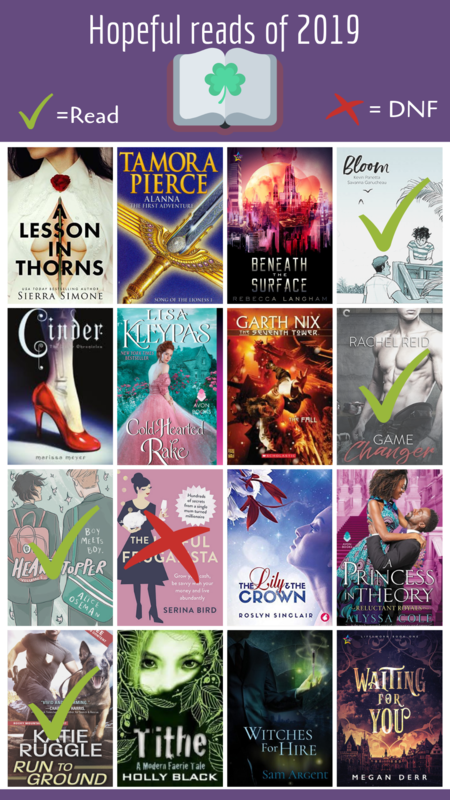 I love how Goodreads do these wrap ups and I’m always surprised by the books that have been read the most and the least! Have you set yourself a challenge for this year? I have played it safe recently and for the past 5 years have had it at 80 only to bump it up to 100 once I reached that first milestone. I was surprised to discover when I went looking for my own 2018 Goodreads in review info (after reading yours) that I have hit over 100 for the past few years and thus should probably start it at 100 this year…. it just seems so daunting! I know, it’s always so great seeing your year laid out all pretty like that. I was thinking maybe 100 too. And haha go big! Who knows maybe you’ll read 120! I would like to think I would read 120 BUT I hate how judgemental their little indicator is with only 100!